The first operational model of P-51 was the Mustang with Allison engine, before Merlin was produced under license by the American Packard. The P-51A was used as early as 1942 by the RAF in the missions of attack and reconnaissance over Europe occupied by the Germans. These, conducted mainly by the English territory, are little known and publicized, so as to be of almost negligible impact on the history of air operations at the time. Yet even the first model of the Mustang was the most modern aircraft available to the RAF. 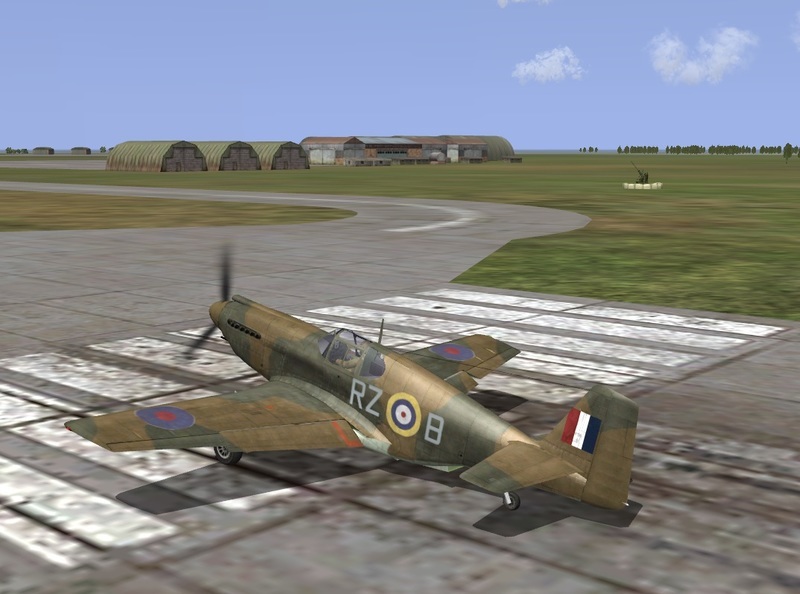 In this campaign for Asura's DGen_mod, designed for 4.09m + UP2.01, you will fly for No.241 Squadron of the Royal Air Force, based at Bottisham, Cambridgeshire, in April 1942. Not exactly a campaign flyer here, but I am sure for 4.09m Battle of Britain and beyond fans this is very interisting! "On the other hand, are the limits dictated by the chosen map, where England is limited to one airport and the historical base of JG26 is not included." Two Messerschmitt Bf 109F-4/B approaching their target on the "Perfidious Albion" (the port below is just Dover - in background a radar station). I think this is the last announcement I do of this kind. It looks there's no interest for my 4.09 dedicated campaigns even among the "Rebels", so why to bother? Personally I congratulate you on all your campaigns! But you know I prefer the countryside are MTO! And long ago I learned that for every 100 downloads = 1 thank you! BUT AFTER I'll really enjoy your campaign mate! And as a Blue boy I can't wait for your Jabo version of this great one! Lately, you missed them all! My average is even lower... But I miss not only a minimal gratitude by the user, but also some competent feedback. For instance, how is it possible, I wonder, that among the 624 guys that downloaded so far my three Vichy-French campaigns NONE commented the miracle I did to have (in a "clean" way) French playing for Blue side? Epervier, you know the work we did (to make another example) to improve Hurricane and Zero; I can't recall a single guy who did a comment like:<<Long last! We've that gauges working!>>, or <<I've evidence that you set wrong values>>. Are we so superficial? Is there a mass that can't comment and few experts that won't? I didn't expect the Royal Society, but as a fan of history and techs I would have welcomed sharing a bit more than the pure game. Il existe plusieurs cartes "Channel". Je n'utilise que les cartes de GilB. Mais c'est très rare que je joue dans le secteur ETO. Je préfère jouer dans le secteur Méditerranée (MTO) ! Mais j'avoue que depuis trois ans je joue très rarement ! 624 téléchargements c'est exceptionnel pour des campagnes en 409 ! 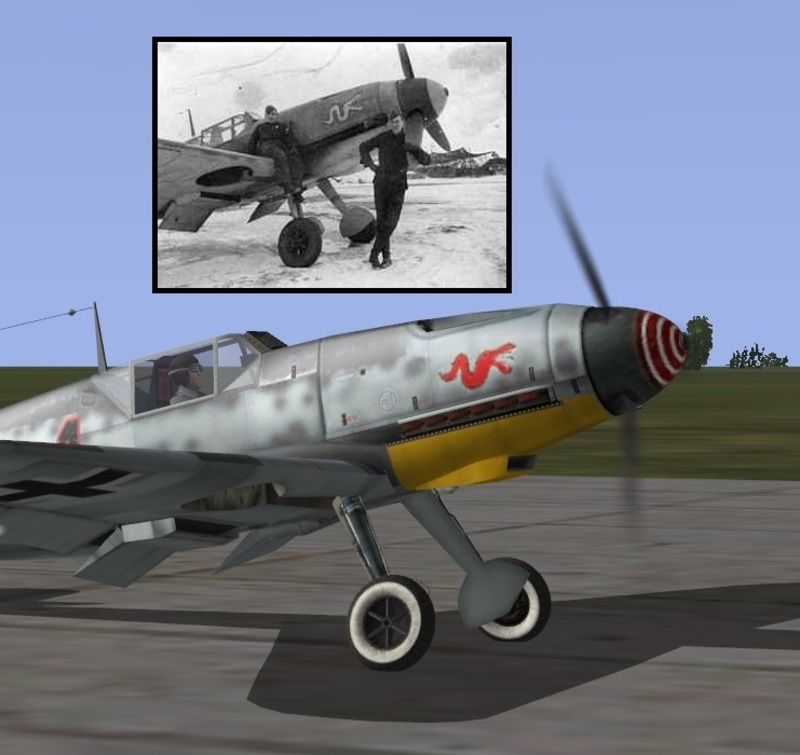 When I do "tinkering" to IL-2 I would first and foremost creates for my personal use. For my pleasure. For the fun of a friend who asked me. Some of my "tinkering" reached 1000 downloads and there were only 4 or 5 thanks. Others remain stuck at 1 download! I do what I like ... just what I like without waiting for any return. Looking at the number of download I know my "tinkering" is appreciated. This is the main! Much wise. I shall try to follow your example. ... greybeard, you work is very valuable, and you know that nowadays people are so used to get things for free that they believe this is normal and don't even take the time to say "thank you" ...!